Corning Incorporated Foundation uses three distinct platforms to enhance and support vibrant Corning communities. They combine to reflect the Foundation’s approach of leadership and collaboration toward its vision of enriching and engaging communities. Direct cash grants make up the majority of Foundation giving. The Foundation has specific guidelines to keep grants focused on the theme categories of education, human services, and culture. The Foundation also supports Corning employees’ philanthropic spirit by matching their donations to eligible non-profit organizations through the Employee Matching Gifts Program. Volunteers demonstrating their passion for the public good are also critical to the Foundation’s vision. 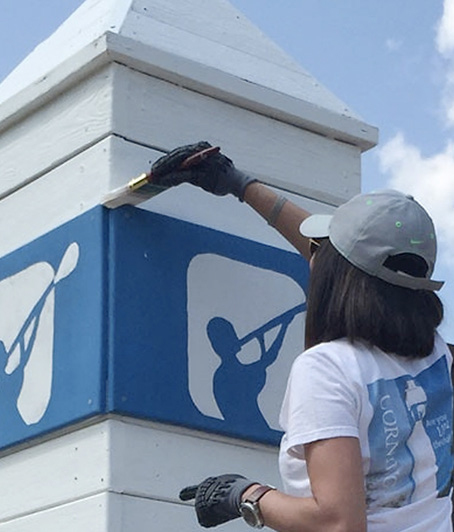 The Dollars for Doers Program gives cash grants to non-profit organizations based on the amount of volunteer time performed by Corning employees.